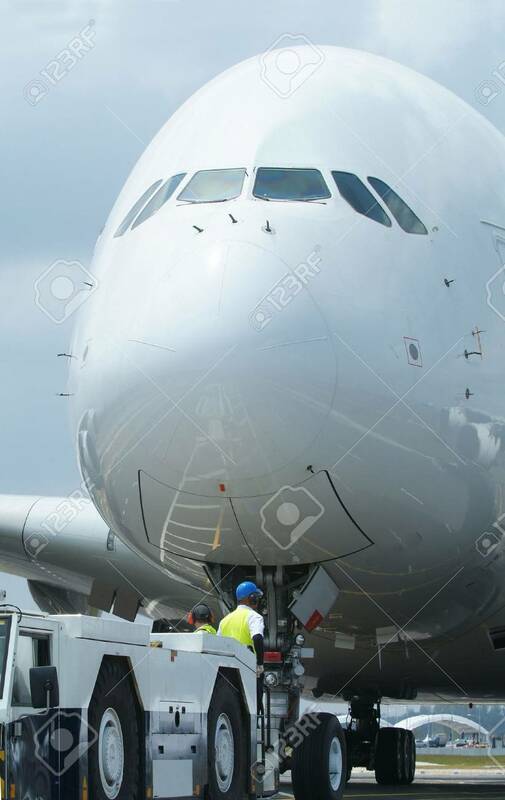 Close-up Of Very Large Wide-body Airplane Being Prepared For.. Stock Photo, Picture And Royalty Free Image. Image 5225902. Stock Photo - Close-up of very large wide-body airplane being prepared for towing, with tow-truck connected. Close-up of very large wide-body airplane being prepared for towing, with tow-truck connected.